With Christmas quickly approaching and the perfect gift for that woman in your life, be it mum, girlfriend, wife, sister or friend playing on your mind, L'STAJ offers the perfect solution in the form of their the New Liquid Lady Collection. Whether it be a day in the office, a picnic in the park or a night on the town L'STAJ has you covered. The Liquid Lady Collection boasts five fabulous, long-lasting shades that can take any look from day to night whilst being the ideal Christmas gift for those lovely ladies we just want to spoil this festive season. With the softness of a gloss and the matte finish of a lipstick, L'STAJ has really produced the ultimate collection to allow any woman to make that standout beauty statement these holidays and will love you in return! 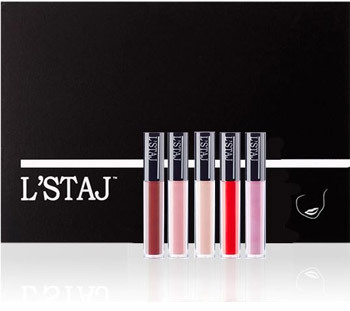 With the Liquid Lady Collection retailing at $85 and available online (www.lstaj.com.au) it is the perfect stocking filler or signature gift for your loved ones!